Reliable amateur radio software for OS X and Windows that works the way you expect. Spot allows you to chase the DX that really matters by putting you in charge of which DX spots you need to see and alarming you when they appear. The resource is currently listed in dxzone.com in 2 categories. 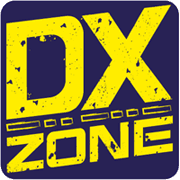 The main category is DX Cluster client software that is about Ham Radio DX Cluster clients. This link is listed in our web site directory since Friday Oct 31 2008, and till today "Spot - Intelligent DXCluster Client" has been followed for a total of 1319 times. So far no one has rated yet, so be the first to rate this link !